Asian Business School / Campus Updates / Extraordinary Showcase of Badminton Tournament at AEG ABS Annual Inter-College Sports Meet, ATHLEEMA 2019! 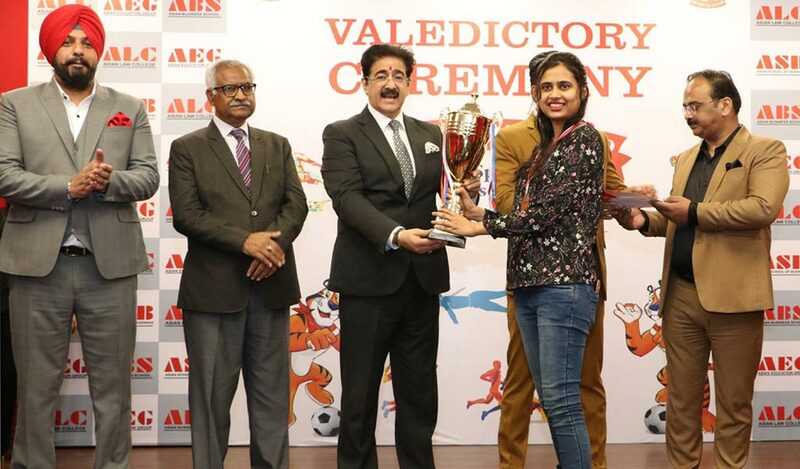 Asian Education Group (AEG) held its prestigious annual inter-college sports meet ATHLEEMA 2019-Season 7 from 13th to 15th March 2019. Its objective was to develop in the students a sporting spirit and a zeal to display their physical prowess and team spirit. The venue of the sports events was Netaji Subhash Sports Complex, Jasola, New Delhi. In all, 36 top colleges and universities from across the country enthusiastically participated in this sports spectacle. 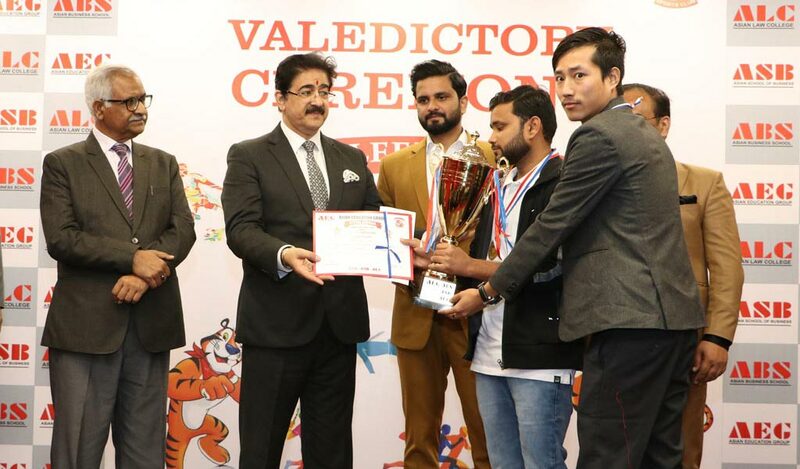 This included Asian Business School (ABS) along with other two constituent group colleges of Asian Education Group – namely, Asian School of Business (ABS) & Asian Law College (ALC) – which actively participated in this high-pitch sports’ meet. Various sports tournaments were organized at this meet and Badminton tournament was one of them. There were more than 200 participants in the badminton tournament which had four divisions – Girls – Singles & Doubles and Boys – Singles & Doubles – from different colleges and universities like Jamia Hamdard University, University of Delhi , Sharda University, Asian School of Media Studies, Shaheed Rajguru College, Satawati College, J.S.S Academy, Fostiima Business School, Dyal Singh College, Indraprastha Institute of Information &Technology, International Institute of Business Studies and many more who actively participated in the Badminton Tournament. The standard of badminton tournament at ATHLEEMA 2019-Season 7 was extraordinary, and all the participants competed fiercely presenting a great vitality of themselves. Asian Business School congratulates all teams and participants for taking part in the tournament!